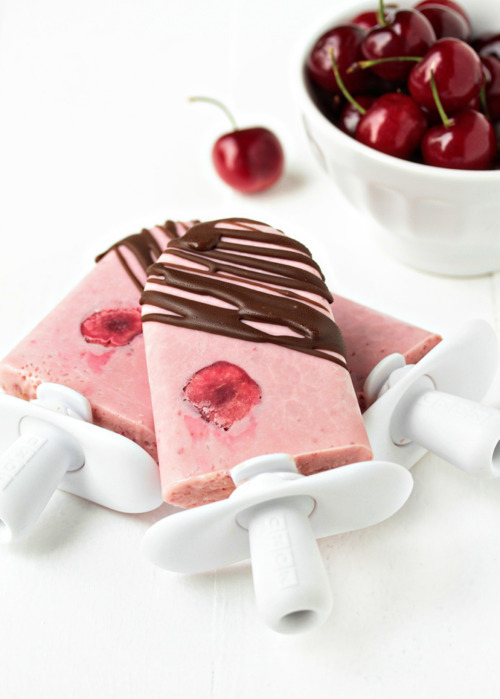 Escape the heat with the cool and refreshing Cherries and Cream Quick Pops! The melding of cherries and cream, topped with chocolate is a winning combination! So indulge yourself with these delicious pops! Remove Zoku Quick Pop Maker from the freezer. Insert sticks and pour the Cherry base into each cavity until you reach the fill line. Let freeze completely and remove the pops with the Super Tool. Repeat with remaining pops.